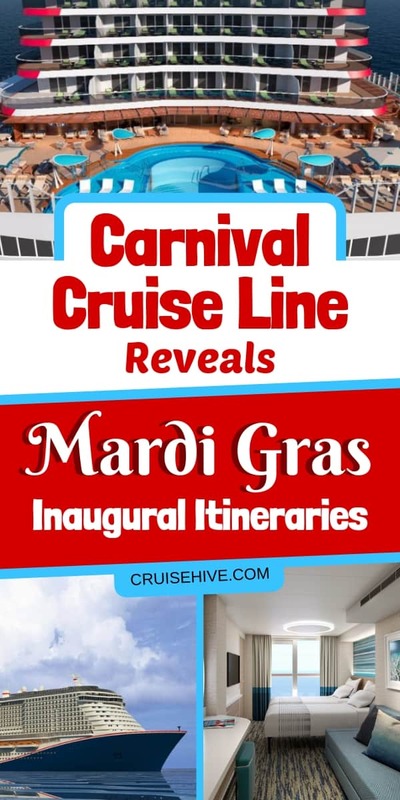 Carnival Cruise Line has finally revealed the much-anticipated itineraries for Mardi Gras, a new generation cruise ship which is joining the fleet in 2020. We’ve finally been told the cruises Carnival Mardi Gras will be sailing for her inaugural season. Once the ship begins service in 2020 she will begin with a cruise from Copenhagen starting on August 31. The ship will then set off from Southampton, UK on her transatlantic voyage on September 9, 2020. There are also new exciting cruises from the U.S. out of New York and Port Canaveral. 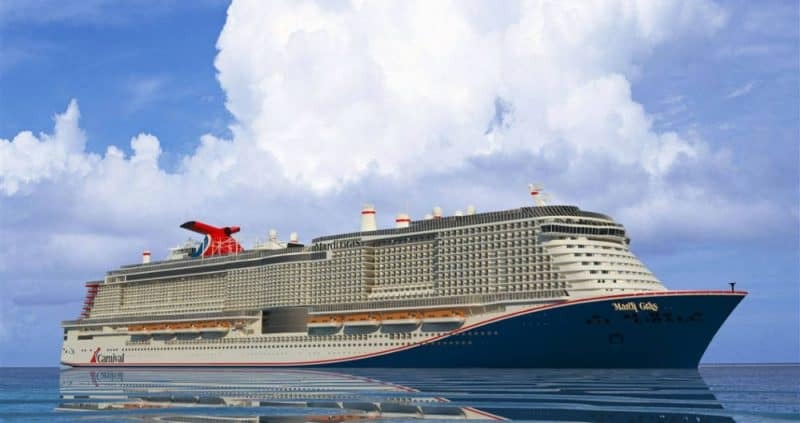 This will be one of the most anticipated new Carnival cruise ships in decades and the cruise line is enticing cruisers with great offers and the very best features in the fleet. Read on to find out the specific details of the largest ever Carnival ship. The brand new mega-ship will sail a one-time voyage from Copenhagen, Denmark. The vessel is offering a 9-day itinerary departing the port on August 31, 2020. The ship will call at Hamburg, Gothenburg, Oslo, Rotterdam Zeebrugge, Le Harve and then will finish at Southampton, UK on September 9. Mardi Gras will offer a one-time transatlantic voyage which will depart Southampton, UK on September 9, 2020. The cruise will last for 14-days and includes calls at Las Palmas, Santa Cruz De Tenerife, Funchal Madeira, and Ponta Delgada. The voyage will finish in New York on September 23, 2020. Carnival is offering 6-day cruise round-trip from New York to Portland, Maine and Saint John, New Brunswick September 24-30. On September 30 Carnival’s newest cruise ship will set off on her maiden voyage from the United States. The 15-day Carnival Journeys cruise will include calls at Amber Cove, San Juan, St. Thomas, St. Maarten, St. Kitts, Aruba, Curacao, and Grand Turk. Mardi Gras will finish at Port Canaveral, Florida on October 15, 2020. The ship will offer a range of year-round Eastern and Western Caribbean cruises from her new homeport of Port Canaveral. The first one-time cruise from the port will depart on October 16. The ship will sail an 8-day Eastern Caribbean voyage including calls to Grand Turk, Amber Cove, San Juan, and St. Thomas. The regular week-long Eastern Caribbean cruises will include calls at San Juan, Amber Cove, and Grand Turk. The regular Western Caribbean cruises will include calls at Cozumel, Costa Maya, and Mahogany Bay. All cruises are now open for bookings. The ship will be fully powered by Liquefied Natural Gas (LNG) and will be 180,000 gross tons with a guest capacity of 5,200 at lower birth. She truly will be mega-ship with new features and even the world’s first roller coaster at sea! Mardi Gras is currently under construction at the Meyer Turk shipyard in Finland and we still have many more details to look forward to.